At Plumber Foxrock we specialize in emergency plumbing services. If you have an unexpected problem you have come to the right place. Our team are available 24 hours a day, 365 days a year. If you have an emergency, we can be at your door within 60 minutes and fix the problem. At Plumber Foxrock we guarantee all of our work. Our team of Foxrock plumbers cover all standard plumbing work and more. Our team have additional expertise in tiling, floors, general building and electrics. Our plumbers are all R.G.I. registered and are highly qualified in all ares of plumbing. Our work is comprehensively covered by our”Plumbers Foxrock”guarantee. For extra assurance as a large established company we have full public and professional liability insurance. We take pride in our quality workmanship. We operate our business as transparently as possible and always offer our clients the best price and services available in Dublin. This open and honest approach has been the key to which our great reputation has been built over the last 3 decades. Our team will never charge for call outs or hidden miscellaneous charges. Unlike some companies we don’t charge for traveling time, sourcing parts or anything of that ilk. We can come to your home at a convenient time for any standard plumbing work or to provide a no obligation quote. We share our knowledge. 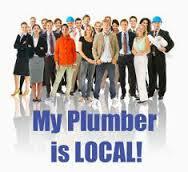 If you want unbiased professional advice just call your local plumbers on 01-2844921. Please see some of the extensive range of services Plumber Foxrock provide. • We are available 24 Hours a day. Our emergency Foxrock plumbers are ready to help. • Drainage.Repairs, installation and removal internal waste water pipes. • Blocked drains and pipes. We get your pipes flowing again using drain rods, plumbers snakes or jet flushing. • Gas Safe Plumbers. All of our team are R.G.I. registered gas safe. • Boiler Installation and boiler servicing. Our team of fully qualified R.G.I. certified plumbers can install your new boiler quickly, efficiently and safely. • Underfloor Heating. We can help you to warm your home using modern underfloor heating. • At plumber Foxrock we repair and install all bathroom equipment including toilets, sinks, baths, wet rooms, bidets and showers. • Wet room and bathroom installation. All the pipes fitted and installed so your wet room functions correctly. • Whole House plumbing. Our team can plumb your entire house, ideal for renovations or new builds. If you do not see the service you require do not worry our we will be able to do it. Our expertise within the industry is second to none. We have senior staff with in excess of 30 years in the trade. We always complete our work quickly and professionally. If you want the highest standard of pluming work at competitive prices just call your local plumbers in Foxrock today on 01-2844921. Exceptional work and customer service is always guaranteed.